The rooms were clean and comfortable. The breakfast consisted of eggs, chilaquiles, yogurt, fruit, cereal, coffee, and pastries. The breakfast was fresh and delicious. The orange juice was freshly squeezed and the food was tasteful. Made fresh juice offered from a kind smiling girl. The location was the best thing. Security guard extremely friendly. Service, access,breakfast buffet, confortable beds, free WiFi. The breakfast was amazing such a big variety. Our breakfast attendant was the sweetest person, she made our stay pleasant. 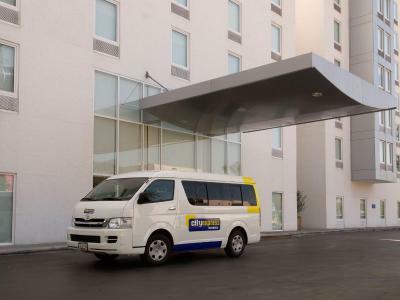 City Express Tijuana Rio This rating is a reflection of how the property compares to the industry standard when it comes to price, facilities and services available. It's based on a self-evaluation by the property. Use this rating to help choose your stay! 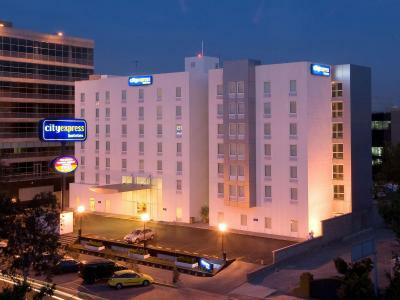 This hotel is in the Río area of Tijuana, close to the main shopping areas and financial district. The modern, air conditioned rooms have flat-screen satellite TV and free Wi-Fi. The spacious rooms in the Cityexpress Tijuana have attractive light wood furniture. All have long-distance phones. The Tijuana Cityexpress has a modern gym. There is also a business center with public internet terminal. A free shuttle is available to anywhere within a 6 miles radius. There is free on site parking. Breakfast is served daily. 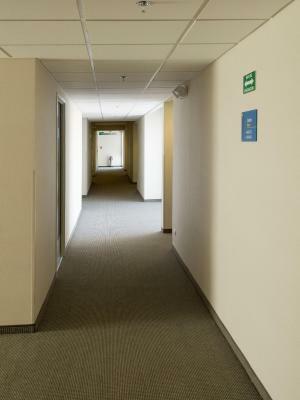 When would you like to stay at City Express Tijuana Rio? This modern air-conditioned room offers 2 double beds, free Wi-Fi, cable TV and a direct-dial telephone with voicemail. This modern air-conditioned room has one double bed, free Wi-Fi, cable TV and a direct-dial telephone with voicemail. House Rules City Express Tijuana Rio takes special requests – add in the next step! City Express Tijuana Rio accepts these cards and reserves the right to temporarily hold an amount prior to arrival. Please bring a printed copy of your booking confirmation with you when checking in. We got attended very well so there was nothing to hate. It was clean and accessible. The breakfast seating was limited. I liked the location; close to everything thing. The parking was horrible and there was construction going on which made it difficult to get into the lot. Construction , loud noise. We were not told there would be construction. the air condition/heater condensation dripped inside on to the carpet but the room was spacious and inviting. There even was extra blankets. Ironing board and iron was also in the room. However the WiFi was kind of weak. Shower head water ran slowly and not enough pressure. It took me a lot longer to shower. Room was clean. Breakfast had a variety. easy access to all restaurants and events nearby. City Expres Hotel web page is advertising free shuttle service from and to Tijuana Airport..... in reality, the service does not exist for multiple reasons.... no clear explanation... Better hire your taxi 250 pesos inbound and 150 pesos outbound.